Tagged with: books, library card, trees, weddings. © 2019. 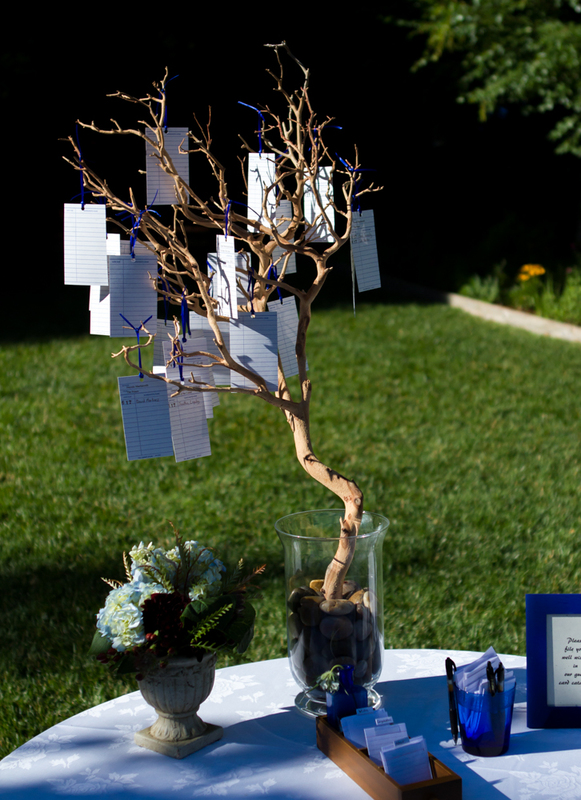 The wedding we went to had a literature theme; to indicate the seating arrangement, the bride and groom hung these library cards from a tree with the guest name and table.